As a result of the increasing need for financial literacy education among Florida’s population, the Florida Literacy Coalition (FLC) will be conducting a FREE webinar detailing important financial literacy resources beginning at 12 p.m. (Eastern), Thursday, Jan. 27! This fun and educational training event will include access to online and hard-copy resources, helpful financial literacy articles, and a tour of the most important websites. Literacy tutors/teachers looking to expand their literacy libraries will not be disappointed! This training will enable you to provide/create a diverse curriculum for all your students. Macario (Mac) Garcia, one of FLC’s AmeriCorps* VISTA members, will be presenting this virtual training. During his time at FLC, he has focused on financial literacy and web-based learning, and is coordinating a statewide initiative to expand financial literacy in adult education programs. His professional background includes social work, and educational and financial counseling. You can participate from the comfort of your home or office! All you need is internet access and speakers. This training is free, but registration is required. After registering, a confirmation email will be sent to you with additional details. Is your program currently offering financial literacy classes? If so, share your successes and challenges with us in the comment box below. 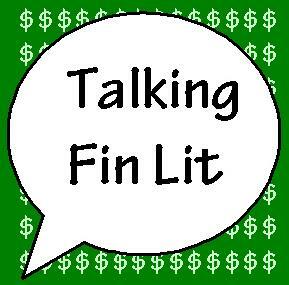 Or share any of your thoughts related to financial literacy!